That multitude of people that gathered around the Lord Jesus today did so in the hopes “that they were going to come and carry him off and make him king” (John 6:12). The end goal in the planned coronation, of course, was a military rebellion to overthrow the power of the Roman Empire and restore the Kingdom of David. In this way, it can be said that today the crowd and Jesus both turned their eyes toward the holy city of Jerusalem, but for very different reasons. When you and I approach the Christ of God, what is it that we seek? What is it about him that draws us to him? The individual members of the crowd approached him because they saw in him “the new Moses, worthy of power, and in the new manna, the future guaranteed.” They misinterpreted what he said and did and failed to recognize his true kingship and the way in which he came to fulfill the law. The Mosaic background provides the context for the claim that Jesus makes. Moses struck the rock in the desert and out flowed water; Jesus promises the water of life… The great gift, though, which stood out in the people’s memory was the manna. Moses gave bread from heaven; God himself fed the wandering people of Israel with heavenly bread. For a people who often went hungry and struggled to earn their daily bread, this was the promise of promises, which somehow said everything there was to say: relief of every want – a gift that satisfied hunger for all and forever. Is this not the same reason so many people still approach the Lord Jesus today, perhaps even some here among us? “They saw the signs he was performing on the sick,” and so the crowd followed him in utility, as a means to an end; rather than seeking to befriend him, they wanted to make use of him (John 6:2). Do we not often do the same? Reflecting on the situation described in the Gospel, Saint Augustine of Hippo noted that “the governance of the world is certainly a greater miracle than satisfying the hunger of five thousand with five loaves; and yet no one wonders at this.” When was the last time we simply sat outside pondering and marveling at how this world continues in existence despite our best attempts to destroy so much beauty? Too rarely do we contemplate the merciful governance of God. Saint Augustine went on to ask, “For what could mere goodness do when there was not enough bread to feed the hungry crowd? 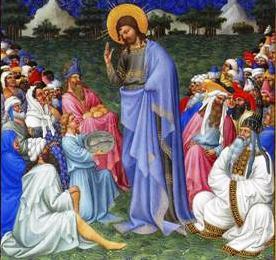 If power had not accompanied goodness, the crowd would have remained fasting and hungry.” For this reason we can rightly sing today, “The hand of the Lord feeds us; he answers all our needs” (cf. Psalm 145:16). But what does it mean to say the Lord answers all our needs? There are those today who falsely claim that if we follow Jesus we will be both healthy and wealthy. This is what we call the Prosperity Gospel. To be sure, it is not found in the Gospels of Matthew, Mark, Luke, or John, for it is the Lord Jesus himself who says to us, “If anyone wishes to come after me, he must deny himself and take up his cross daily and follow me” (Luke 9:23). Saint Peter, too, says to us, “Beloved, do not surprised that a trial by fire is occurring among you, as if something strange were happening to you” (I Peter 4:12). According to worldly wisdom, to require self-denial and to promise sufferings is a rather foolish way to recruit new followers, yet both lie at the heart of the true Gospel. But then, as Bilbo Baggins said, "adventures are not all pony rides in May sunshine." Why? When Jesus praised the widow’s mite, he said of her, “I tell you truly, this poor widow put in more than all the rest; for those others have all made offerings from their surplus wealth, but she, from her poverty, has offered her whole livelihood” (Luke 21:3-4). Rather than promising to reward her with endless wealth, as some would have us understand the Lord to say through the words of the Psalmist, Jesus commends her for giving all she had; he praises her because she responded to the need of others in the same way he responded to our need. For the Christian, the presence of bread naturally evokes the Eucharist, a connection which Saint John will make undeniably clear next week. What we call “bread” contains the mystery of the Passion. Before there can be bread, the seed – the grain of wheat – first has to be placed in the earth, it has to “die,” and then the new ear can grow out of this death. Earthly bread can become the bearer of Christ’s presence because it contains in itself the mystery of the Passion, because it unites in itself death and resurrection. Knowing we hunger for more than bread, Saint Augustine asked: “Who is the Bread of heaven, but Christ? But in order that man might eat Angels' Bread, the Lord of Angels was made Man. 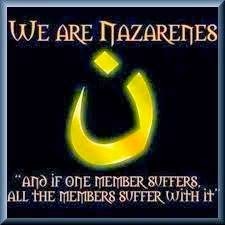 For if he had not been made Man, we should not have his Flesh; if we had not his Flesh, we should not eat the Bread of the Altar.” And if we do not eat the Bread of the Altar, the Body and Blood of the Lord, we cannot be truly satisfied, nor can we unite our sufferings to his and share in his redemptive mission. Why is it that we have come today? Have we come because we have were attracted to the healings and miracles Jesus performed and so expect him to give us some tangible benefit? Or have we come instead simply to ask his friendship to be renewed between us, to ask him simply for the gift of himself? If we have come here today to the altar of the Lord without the desire of receiving Jesus and his friendship, we have not come for the right reason. “Dear brothers and sisters, let us ask the Lord to enable us to rediscover the importance of feeding ourselves not only on bread but also on truth, on love, on Christ, on Christ’s Body, taking part faithfully and with profound awareness in the Eucharist so as to be ever more closely united with him.” Amen. Pope Benedict XVI, Angelus Address, 29 July 2012. Joseph Ratzinger/Pope Benedict XVI, Jesus of Nazareth: From the Baptism in the Jordan to the Transfiguration. Adrian J. Walker, trans. (New York: Doubleday, 2007), 264-264. Saint Augustine of Hippo, Tractates on the Gospel of John, 24.2. In Ancient Christian Commentary on Scripture, New Testament Vol. Iva: John 1-10, Thomas C. Oden, et al, eds. (Downers Grove, Illinois: Inter Varsity Press, 2006), 216. Saint Augustine of Hippo, Tractates on the Gospel of John, 24.3. J.R.R. Tolkien, The Hobbit: Or There and Back Again (New York: Houghton Mifflin Company, 1997), 31. Joseph Ratzinger/Pope Benedict XVI, Jesus of Nazareth: From the Baptism in the Jordan to the Transfiguration, 267. Saint Augustine of Hippo, Sermon 130.2. UPDATE (07-21-18): American Accused of Being ISIS Fighter in Syria Faces Prosecution in U.S.
UPDATE (07-19-19): What did documents, records left behind by ISIS in Raqqa reveal? UPDATE (07-12-18): Raqqa Was the Capital of ISIS. Can It Ever Be Home Again? Some days ago I stumbled upon the online store Portraits of Saints: Catholic Art and Gifts while looking for a holy card of a particular saint. As I browsed through the many selections, I was surprised - and pleased - to see several offerings of the Servant of God Father Augustus Tolton. I have ordered one and intend to use it as a bookmark (I find laminated holy cards are especially useful for this purpose). When I was nearing the completion of my studies at the Pontifical Gregorian University two years ago, I realized that the date of my departure from the Eternal City and my return to the Gem City nearly coincided with the date of Father Tolton's return to Quincy from Rome, only 130 years later. So it was that I organized a small pilgrimage to his grave for the celebration of Vespers. The group of pilgrims who braved the heat to honor our beloved Father Gus enjoyed the day evening so much that they asked for another pilgrimage the next year. Looking for another occasion to mark, we made the same pilgrimage last year in commemoration of the 120th anniversary of his death on July 9, 1897. 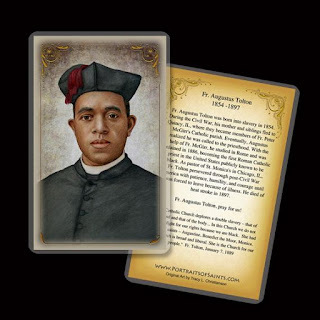 QUINCY - Area Catholics and others devoted to the Servant of God Father Augustus Tolton will commemorate the 121st anniversary of the death of Father Tolton with a pilgrimage procession on Sunday, July 8th. Father Tolton died in Chicago on July 9, 1897 and is interred in St. Peter Cemetery in Quincy, where he was raised and from which he left to study for the priesthood in Rome. He returned to Quincy as a priest in 1886 and ministered in the Gem City until he left for Chicago in 1889. Father Tolton has been proposed for sainthood and the Cause for his Canonization continues. The pilgrimage procession will begin at 4:00 p.m. at the statue of Father Tolton outside St. Peter Catholic School at 2500 Maine Street. After a few words of welcome and explanation, followed by a prayer, the pilgrimage procession will process along the south side of Maine Street where it will cross onto the east side of South 33rd Street. It will then process along the east side of South 33rd Street until it reaches St. Peter Catholic Cemetery. After entering the cemetery, the procession will stop at the grave of Father Tolton for the celebration of Evening Prayer at 4:30 p.m., which is composed of Psalms, a reading from Scripture, petitions, and song. After Evening Prayer, the pilgrims will pray for more priests through Father Tolton’s intercession and for his canonization as a saint. The pilgrimage procession will conclude with the singing of “Holy God, We Praise Thy Name,” Father Tolton’s favorite song. Those who wish to participate in the Evening Prayer but cannot walk in the procession are invited to park near the cemetery to meet the procession at the grave; because of the small size of the cemetery, no one should park in the cemetery itself. Chairs and bottled water will be provided at the cemetery for those who wish to participate in the Evening Prayer. Father Dominic Rankin has gratefully accepted an invitation to preach during the Evening Prayer. It seems this pilgrimage is likely to become an annual event, if it has not already become so. I hope you will be able to join us for this pilgrimage procession. The forecast is already showing signs of improvement and has a of 85 degrees on Sunday. If that holds true, it should be a lovely afternoon!